Rubber Fab’s Smart Gasket’s® value is proven when validating sterility in a high-purity pharmaceutical system. The Smart Gasket® is used to obtain the critical thermal mapping information you need during the validation process. Smart Gasket® easily installs between two sanitary standard ferrules using the Rubber Fab sanitary thermocouple clamp to secure the ferrules. Our gasket provides up to four internal ports for accepting the Smart Gasket® thermocouple samples or accessories; i.e. 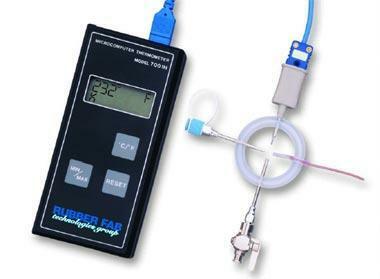 ACC-T or K-199-S-Short Temperature Probe; ACC-T or K-199A-L Long Temperature Probe. Each port measures .090".